T​he Roman Catholic Church that once condemned Giordano Bruno to burn at the stake for heresy is today training instruments of unimaginable power to sift starlight for traces of Earth-like planets that could harbor alien civilizations. When the astronomers of the Specola Vaticana turn their lenses on HD-4203, a common yellow star 253 light-years from Earth, they make a discovery that rocks the Holy See to its very foundation … An illuminated message appears in clouds above the planet’s solitary continent that alludes to Giordano Bruno and the ancient mystery tradition that obsessed him. The Church now has no choice but to turn to an unlikely source for help, the world’s greatest expert on Bruno and his hermetic obsessions – Dr. Christopher Shallcross, world-famous blogger and acerbic critic of religion. The story comes to a climax – and the secret is revealed – when all players converge for a final and dangerous confrontation in the zero-g environment of the Hawking Observatory. 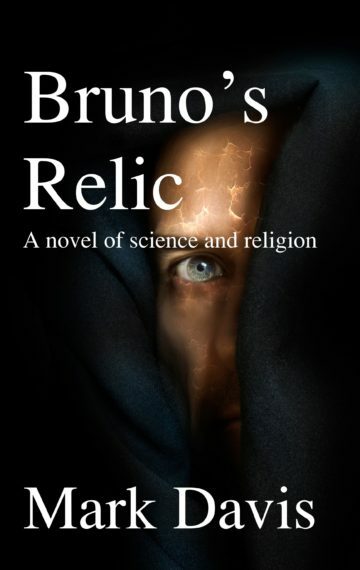 Set in the near future, with historical flashbacks, Bruno’s Relic is a thriller about the final battle in the ancient war between science and faith.